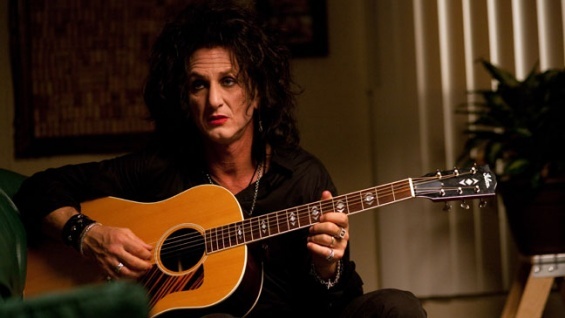 An ageing, softly spoken gothic rock star named Cheyenne (Sean Penn) is bored with his life in Dublin. He opts to wear full makeup everyday and lives in a huge mansion with his wife Jane (Frances McDormand), who is a fire-fighter. He is also friends with Mary (Eve Hewson), an unhappy Goth girl who has been separated from her mother. Cheyenne tries and fails to set her up with someone in the mall who is interested in her. He also regularly visits the grave of a boy because he feels responsible for his death, even though the parents tell him not to visit. One of the other major threads in Cheyenne's life is that he has not spoken to his father in thirty years, who was a holocaust survivor in Auschwitz. When he learns of his death, Cheyenne decides to travel across America and with the help of a man named Mordecai (Judd Hirsch) he works to find the Nazi war criminal Aloise (Heinz Lieven) who humiliated his father. 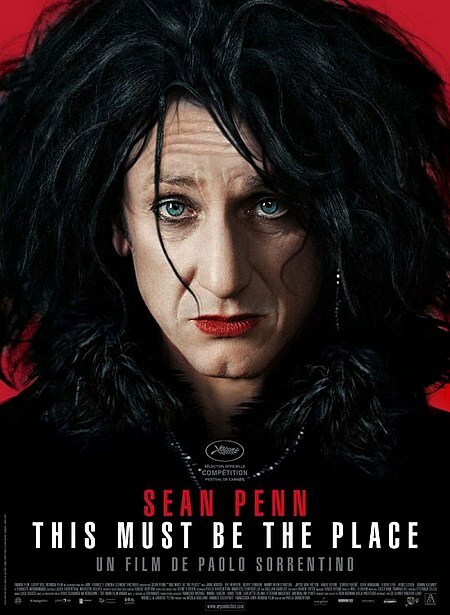 This is a confused rare misfire for the ever reliable Sean Penn, due to a hopelessly muddled screenplay. It is the first English language feature of Italian director Paolo Sorrentino, who also co-wrote the script with Umberto Contrarello. The film starts promisingly because Sorrentino's first major theme, isolation, is a successful one. He resorts to giving Cheyenne's house a cool, sterile look through a white colour palette scheme. This is deliberately at odds with Cheyenne's gothic appearance. He's been compared quite accurately to the lead singer of The Cure, Robert Smith. He is always dressed in black, with dark eyeliner and red lipstick that characterises him deliberately as feminine and therefore misplaced against any lighter tones. People stare at him in malls and supermarkets, either to take pictures or just to laugh at his appearance. Further visualising his stasis and isolation is Sorrentino's camera, where the tracking shots are purposely slow in their movements to show how this bloke is drifting rather aimlessly through life. Unfortunately, the same can be said about the film itself. The script is so overloaded with strange details, side characters and threads that its almost an impenetrable movie. There's little clarity about who exactly these people are, how they relate to each other and why they're in this film other than to project an idea, rather than a personality. I found the relationship between Mary and Cheyenne, who he insists is not his daughter, to be quite bizarre since they regularly hang out together. Even more unlikely is the brief time he spends with a waitress who recognises him and then lets him stay with her and her son briefly. It's equally frustrating that many characters, including the wasted talents of Frances McDormand, fade out of the story for so long that there is no continuity in the plot, leaving the film without a focus. The misguidance of the narrative is apparent is just how long it takes to reach the film's main revenge thread. It's close to an hour into the film and ends on a whimper. Adding further confusion is the film's reliance on self-conscious dialogue that is infuriatingly cryptic. When he's told that his burger is overcooked, Cheyenne replies: "We go from an age when we say 'My life will be that', to an age when we say 'That's life'". I'm all for Wes Anderson-like quirkiness but lines like this really test your threshold for pseudo-intellectualism. At most one can praise the bravery of Penn's performance, one of the strangest of a distinguished career, even if his character's motives are unclear and implausible. 'Remote' is not a word you normally associate with Penn but he succeeds in making Cheyenne cold and distant and sometimes funny, through his small whispery voice, followed by an occasional outburst that is true to his passive-aggressive nature. In spite of the lead performance though, it's a very unsatisfying and unmoving film that shares all too much in common with its central character.